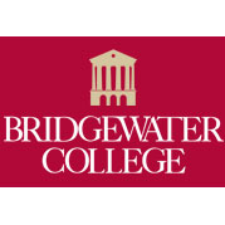 Bridgewater College will hold a CROP Meal from 5-7 p.m. Thursday, Nov. 1, in the main dining hall in the Kline Campus Center. BC faculty, staff and members of the local community purchase CROP Meals surrendered by BC students and enjoy “dinner out” in the KCC dining hall. The meals have been paid for on the student meal plan, and all proceeds go directly to CROP’s hunger relief, education and development programs in 80 countries around the world. The cost of the meal is $8 for adults; $6 for children 12 and under. The Bridgewater/Dayton area CROP Hunger Walk begins at 2 p.m. on Sunday, Nov. 4, at the Bridgewater Community Center located at 201 Green St.
Bridgewater College students and members of the local community will get sponsors for every kilometer of the 6-kilometer (3.7-mile) route they walk. Money will be put toward stopping hunger. Last year’s CROP Meal and Hunger Walk raised more than $5,000 for Church World Service’s hunger-fighting development efforts around the world. Some 2,000 communities are joining together in interfaith community CROP Hunger Walks around the theme “Ending Hunger One Step at a Time.” Local ministries share in the funds raised by the walks. Twenty-five percent of the proceeds from the CROP Meal and CROP Hunger Walk are given to the Bridgewater Area Inter-Church Food Pantry.